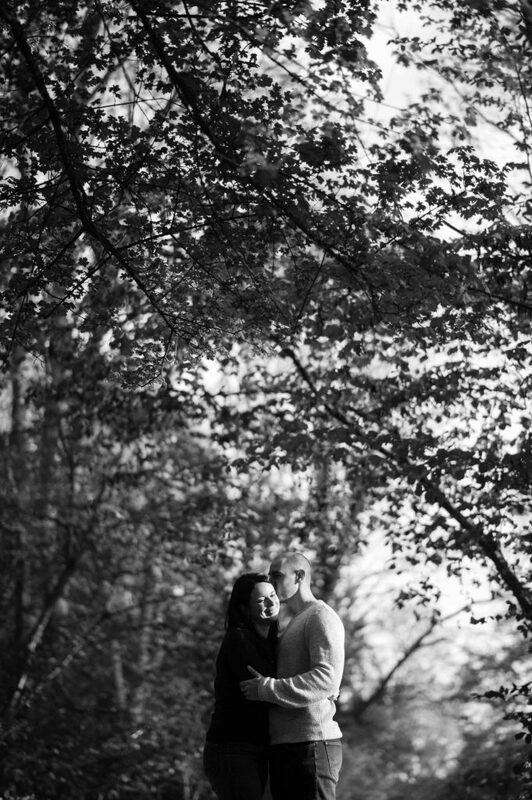 Engagement shoot at Box Hill, Surrey. 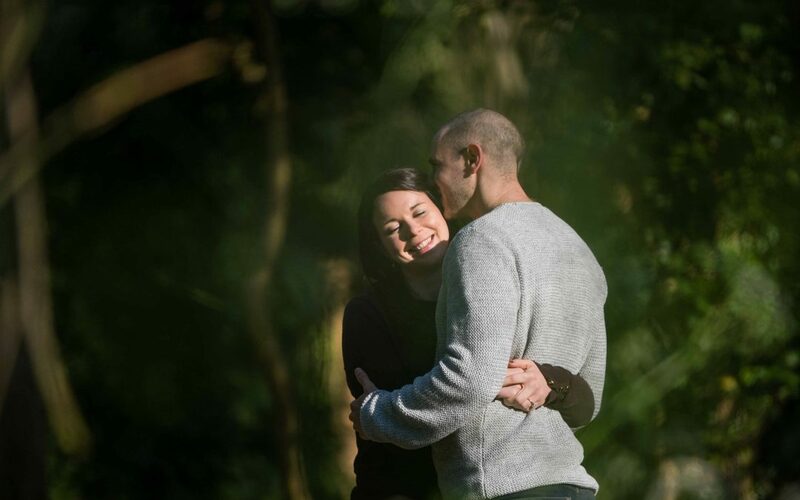 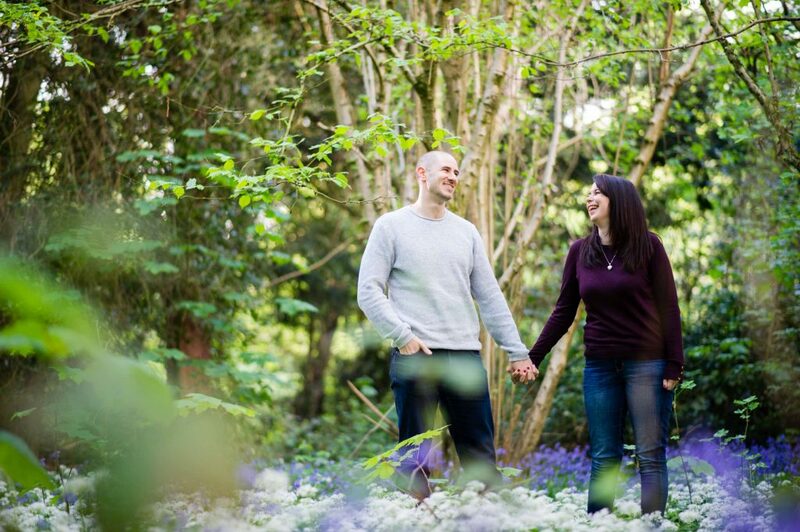 We were super excited to photograph Alex and Rachel back in April for their spring engagement shoot ahead of their wedding in 2018 at the stunning Wotton House in Dorking, Surrey. 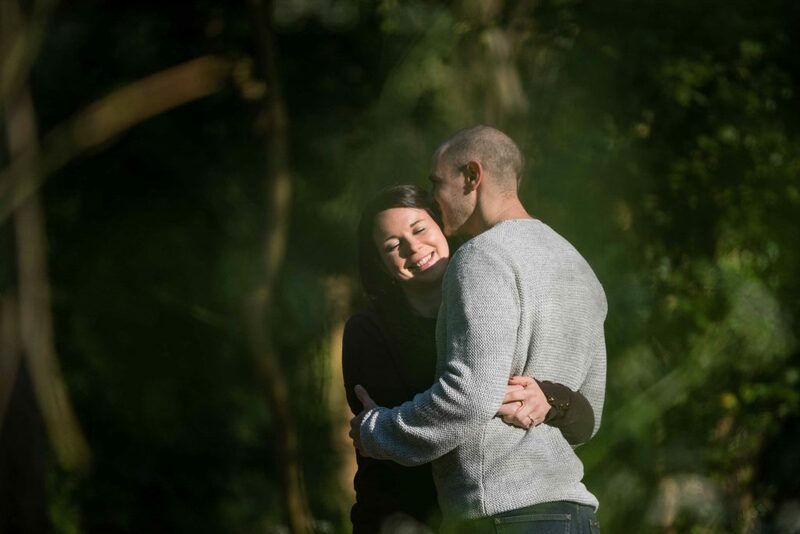 We started the session with Alex and Rachel in the best way possible, with afternoon tea in the Morning Room at Wotton House, which was absolutely delicious and gave us a chance to catch up with all their plans for the wedding so far. 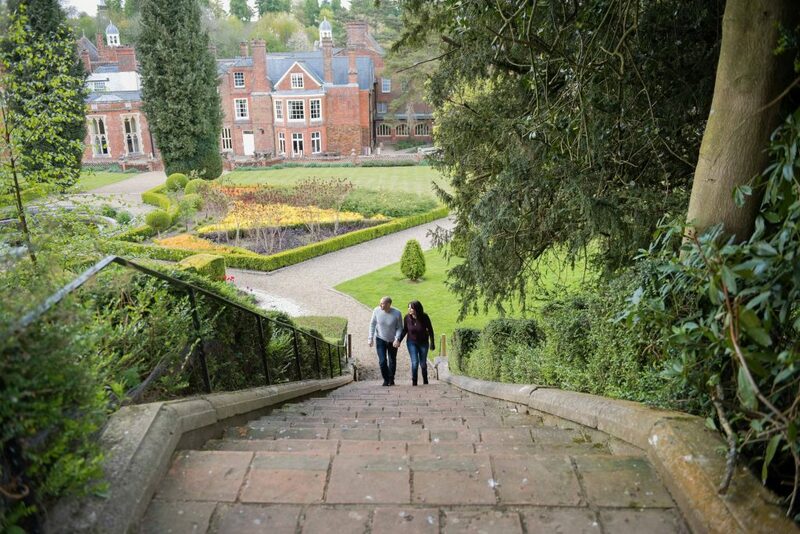 It was our first visit to Wotton House and it was so nice to be able to wander around the estate with it’s listed gardens and 13 acres of grounds. 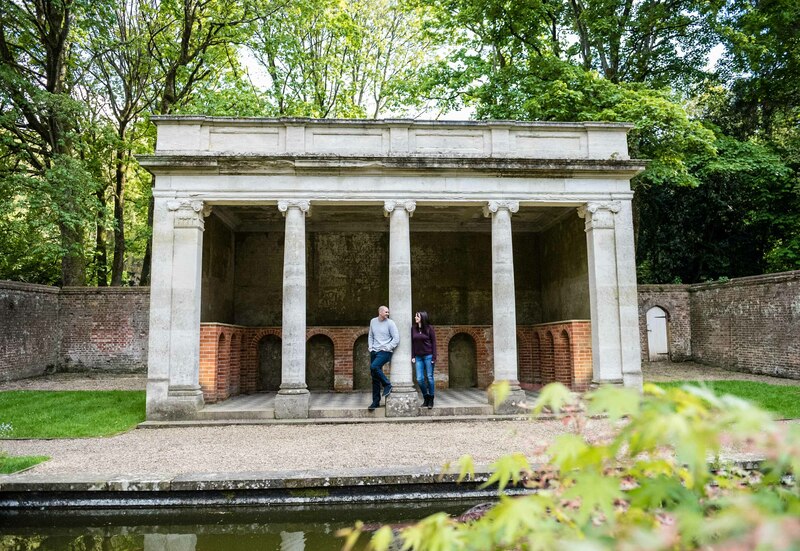 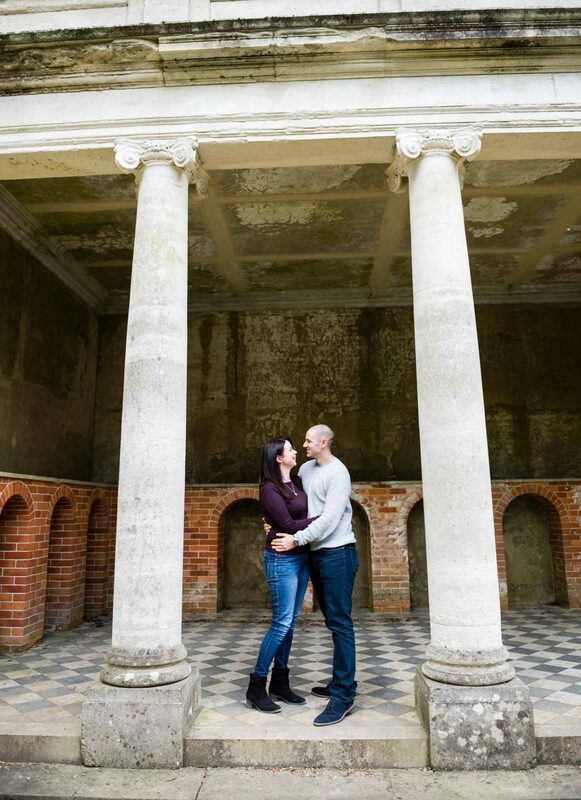 There are so many photo opportunities at Wotton House; we fell in love with the Roman Temples and Italian gardens and we just had to take a few shots of Rachel and Alex whilst we were wandering around……. The 17th century house is a perfect mix of original features and 21st century modern comforts and style, and we were well able to imagine just how stunning their wedding will be, with the ceremony being held in The Old Library, with it’s vaulted ceilings and huge fireplaces. 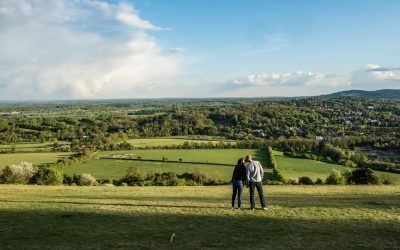 After a tour of the house and grounds, we headed off to Box Hill on the North Downs in Surrey, to take some photos in the beautiful early evening sun. 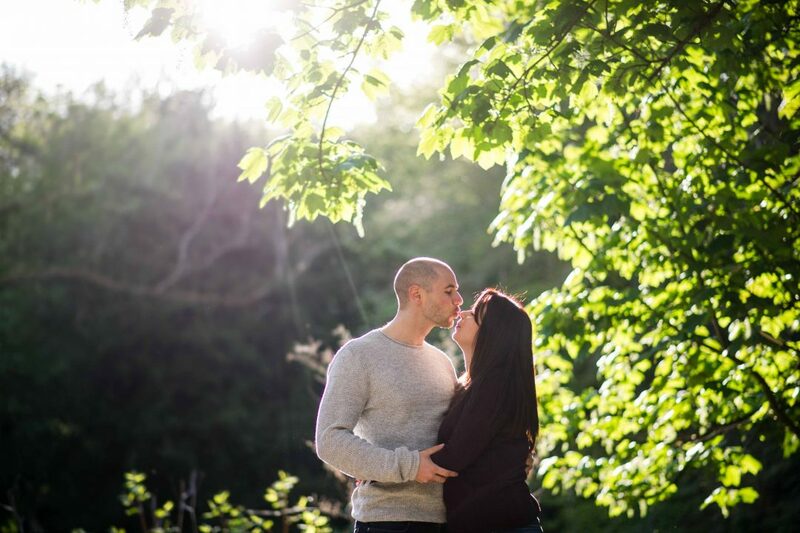 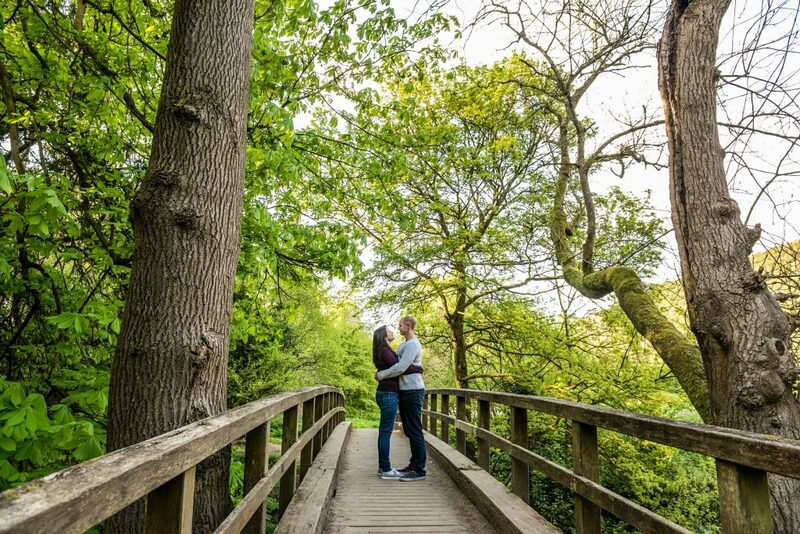 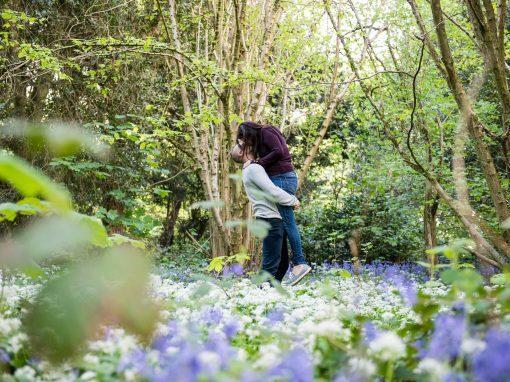 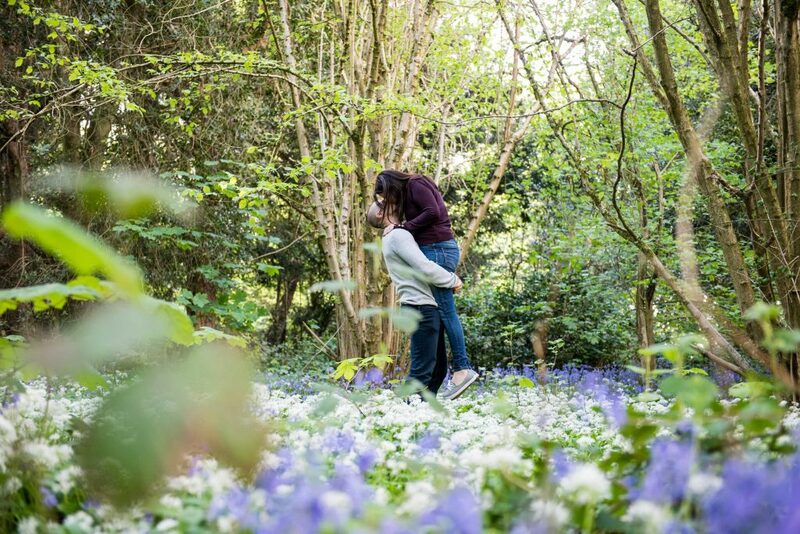 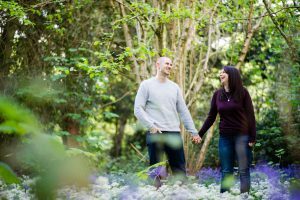 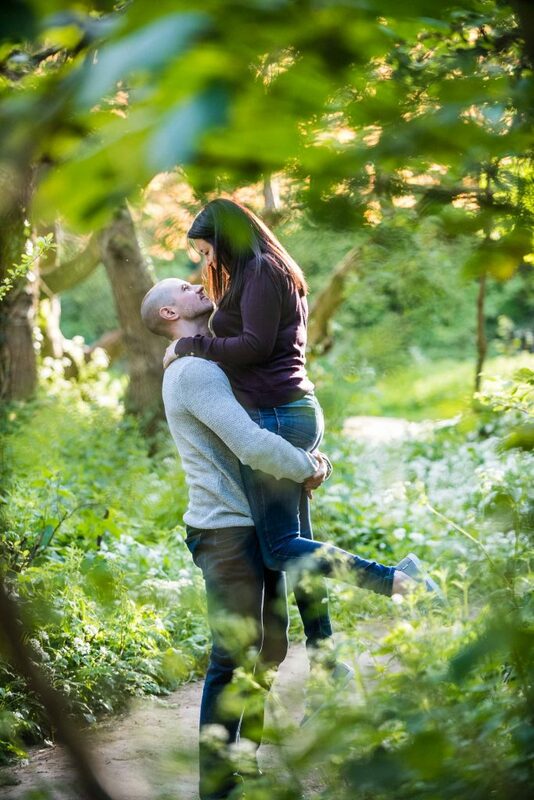 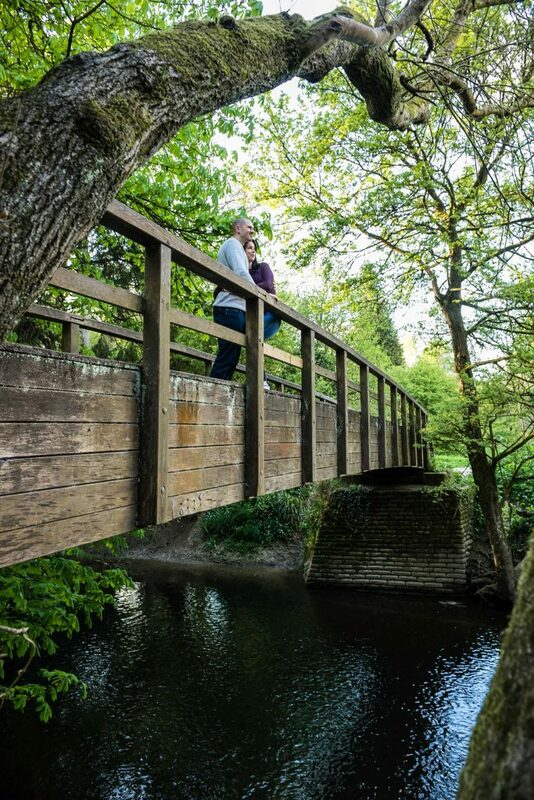 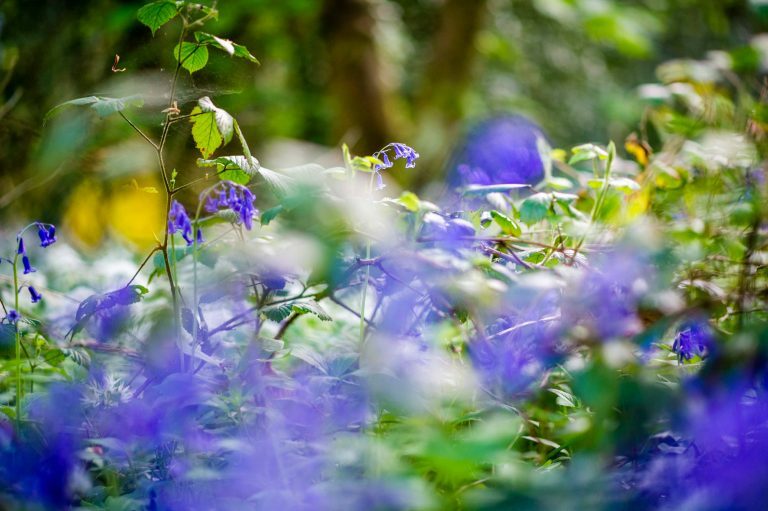 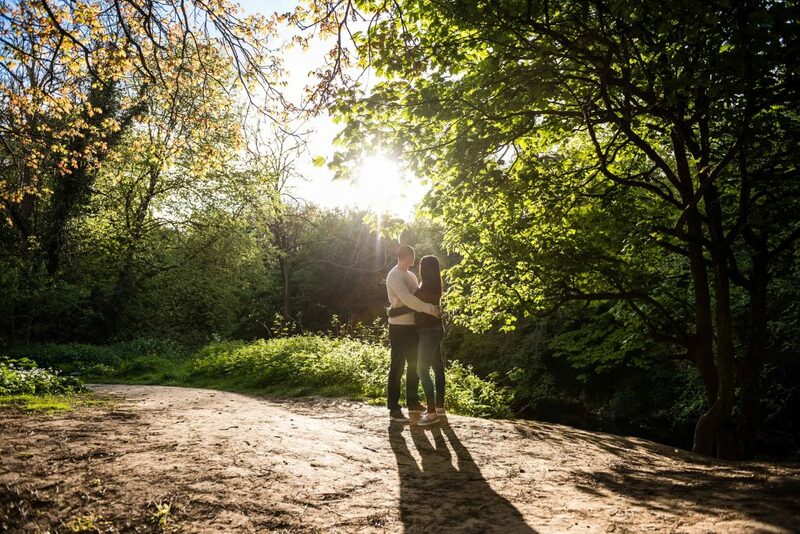 This was an area chosen by Alex and Rachel and it really is a stunning location for a spring engagement shoot as the wild garlic was looking very pretty with the white flowers as well as a plethora of bluebells in the woodland. 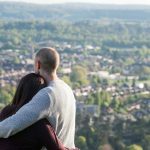 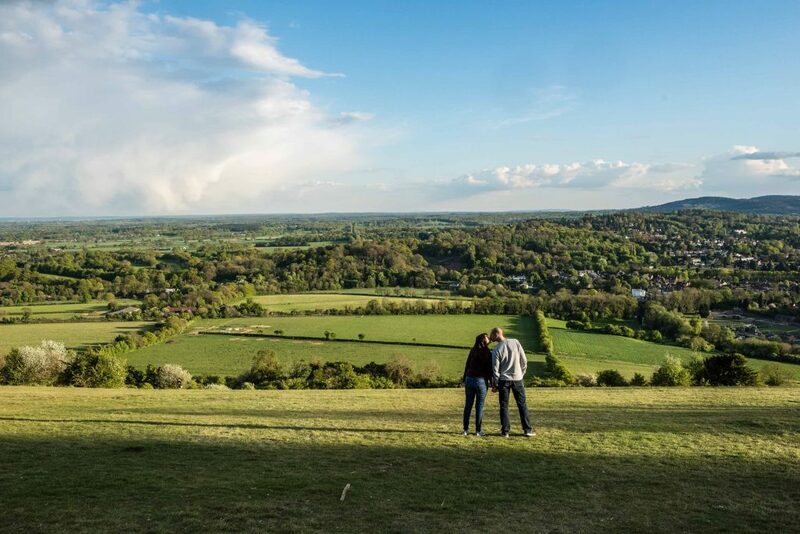 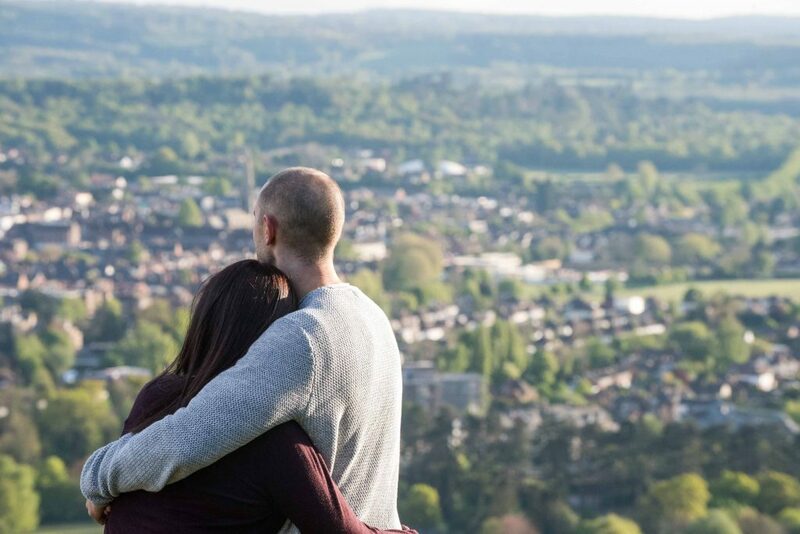 Box Hill takes it’s name from the ancient box woodland found on the chalk slopes overlooking the River Mole, and lies within the Surrey Hills Area of Outstanding Natural Beauty. The western part of the hill is owned and managed by the National Trust. 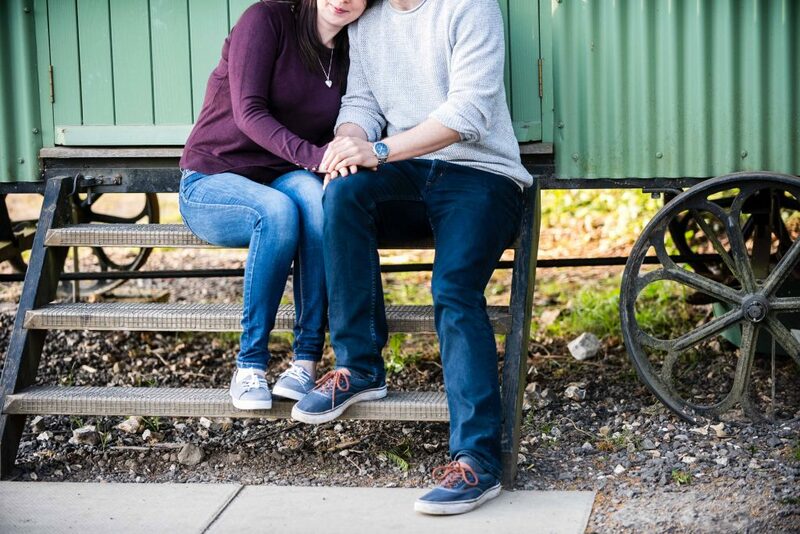 We ended the shoot with a few shots outside the very cute little Shepherd’s Hut owned by the National Trust – we were a teeny bit excited when we saw it and just had to have a few last photos there…..
Rachel and Alex were absolutely wonderful to photograph; they were incredibly natural in front of the camera, and with the light and location so perfect we had a really relaxed time exploring Box Hill in the evening sunshine. 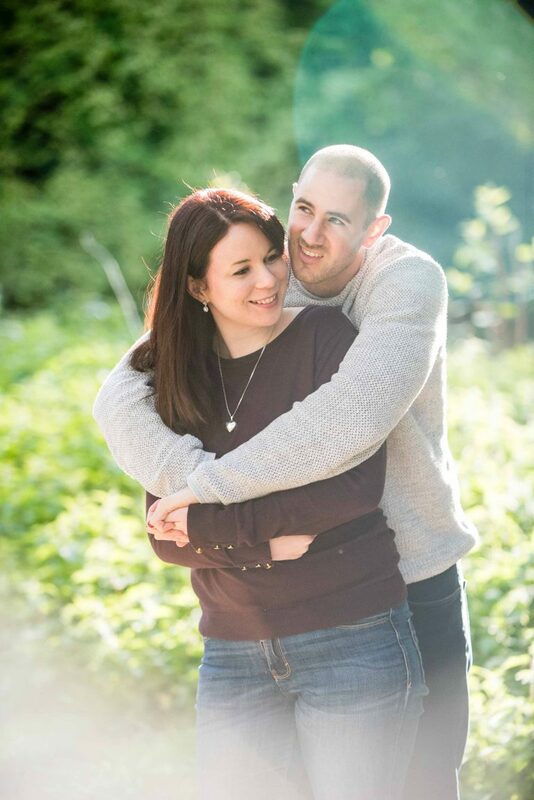 We can’t wait until their wedding next year!